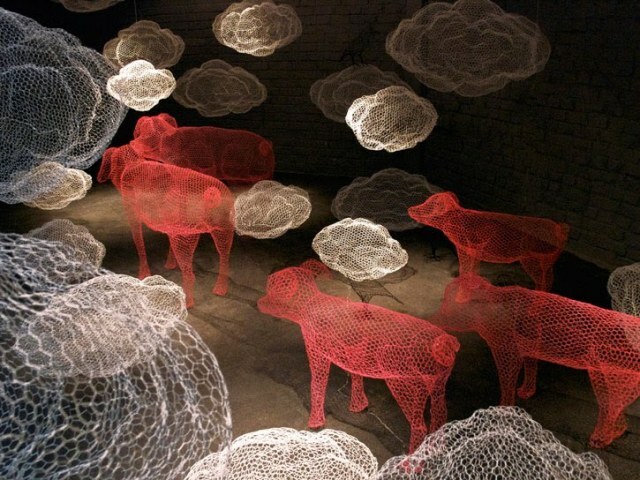 Take a look at these magical sculptures by Italian artist Benedetta Mori Ubaldini! Having trained as a picture restorer and conservator, she realized she was not satisfied in terms of creativity. In 1994, she decided to study the fine arts and she has enrolled at Middlesex University in London. 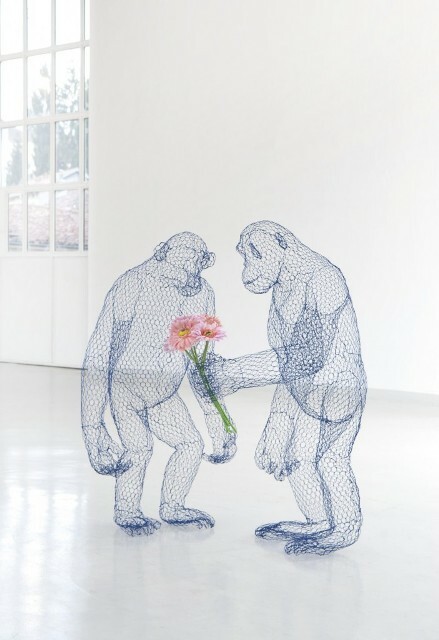 She is best known for her extraordinary wire work – beautiful objects which start life as industrially produced mesh wire which is worked, transformed and shaped by hand – then jointed to create a seamless appearance. 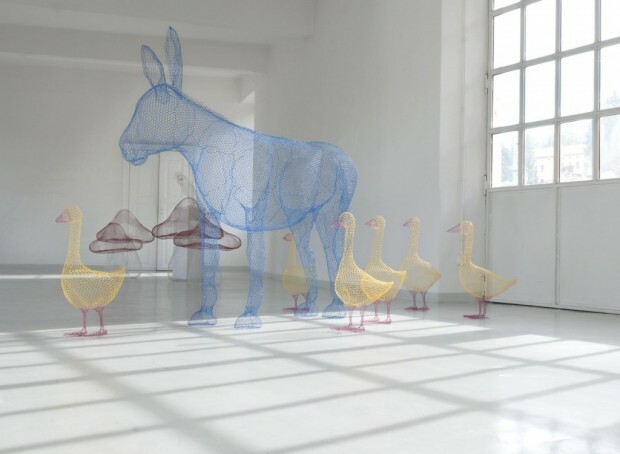 Many sculptures that Benedetta made of mesh come from a childish side of her imagination. She explained that the magical power of transparency is able to give each piece the lightness of an apparition, a ghostly feeling, like a trance of the memory. Before moving to Milan in 2005 Benedetta Mori Ubaldini lived and was trained in London. 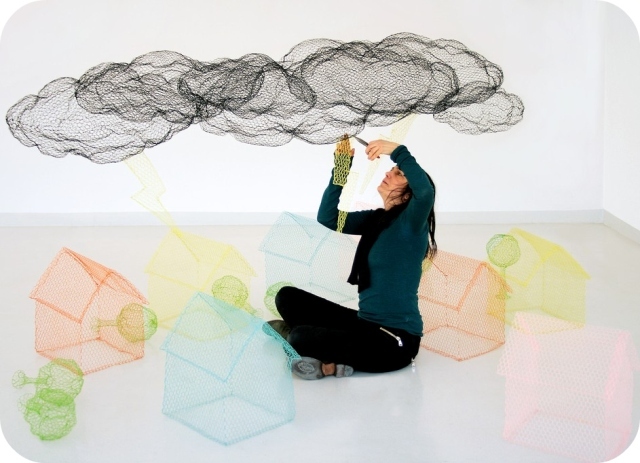 Benedetta works in many materials but is best known for her innovative and extraordinarily beautiful wire work. 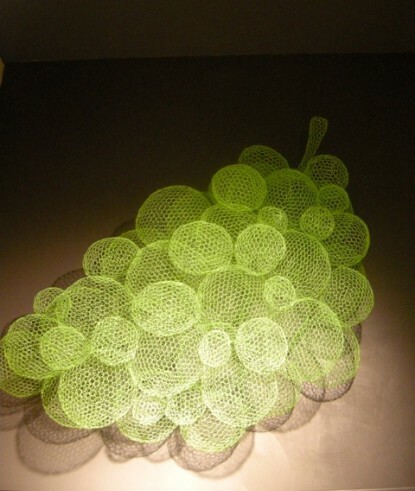 Each piece starts life as industrially produced, rolled “chicken” wire which is gradually shaped by hand, twisting and joining the pieces together to give a seamless appearance. 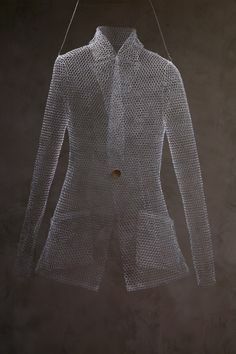 The metal mesh, which is usually a hidden material used only as internal frame for sculptures, finds in Benedetta’s objects its own beauty and transforms into figures and objects of a poetic world. The sculptures by Mori Ubaldini appear rooted to the ground but light and impalpable all together. 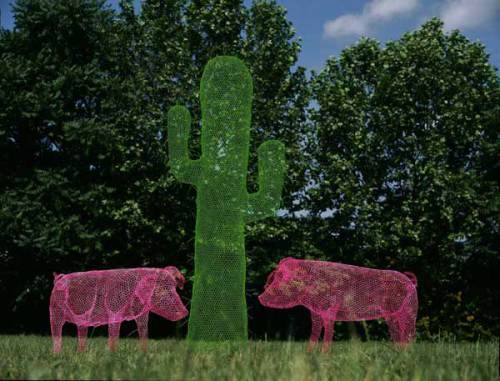 You can easily figure them lifting from the ground with the minimum breeze and freely hover like fairy-tale creatures. She also uses balloons for what she calls her ‘Ugly Art’, a part of her artistic production humorously addressing sexuality and body issues. You can see more visiting her website here.